From the west of Nepal, the first eight-thousander summit successes of the spring season are reported. 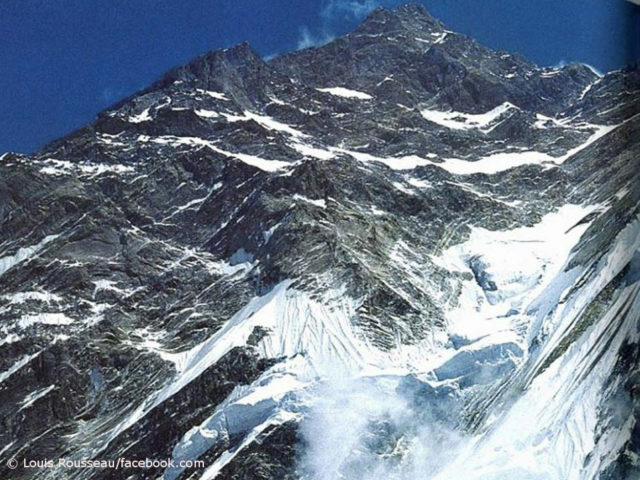 The Nepalese expedition operator “Seven Summit Treks” announced on Facebook that 31 mountaineers had reached the highest point at 8,091 meters today. Among the 14 foreign climbers mentioned is the Turk Tunc Findik. 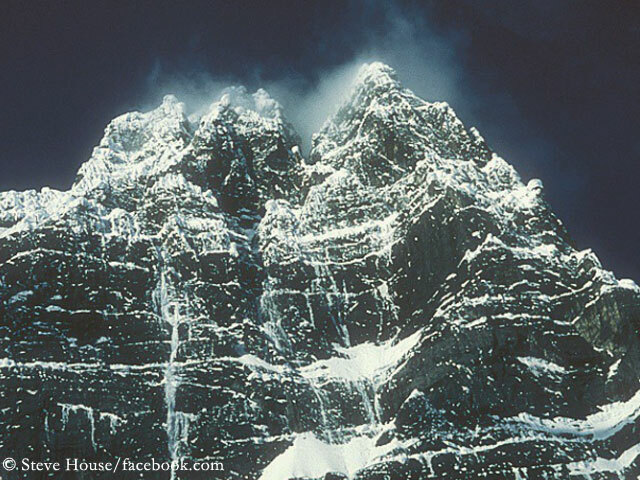 If the summit success of the 47-year-old is confirmed, it would be his twelfth eight-thousander. Only Nanga Parbat and the Gasherbrum I are then still missing in his collection. 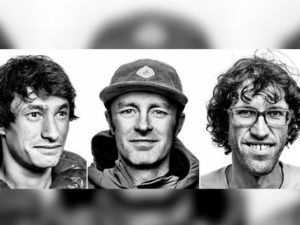 Hope had already been gone before, but now it is sad certainty: The two Austrians David Lama (28 years old) and Hansjörg Auer (35) as well as the US-American Jess Roskelley (36) died in an avalanche on Howse Peak. On Sunday, a rescue team found the bodies of the three top climbers at the foot of the 3,295 meter high mountain in the Canadian Rocky Mountains. “The avalanche conditions were hazardous to the rescue team, so a specially trained avalanche dog was used to locate the climbers,” says a statement by the Roskelley family. I wish you all and your loved ones Happy Easter. 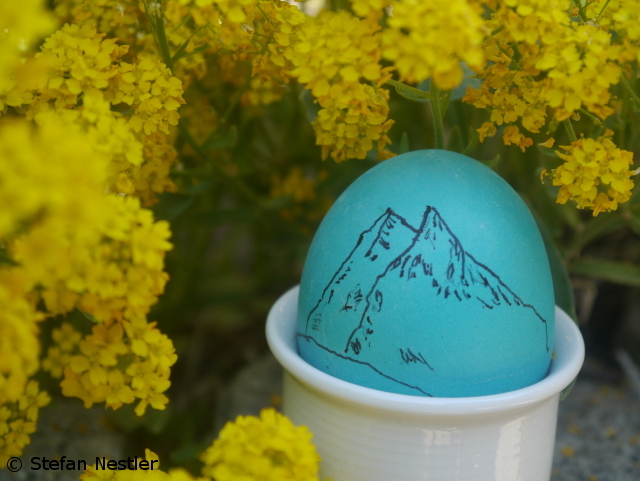 And the “Picasso from the river Rhine” 😉 is confronting you with another easter riddle: Which mountain have I conjured onto the egg? Officially David Lama, Hansjörg Auer and Jess Roskelley are still missing. 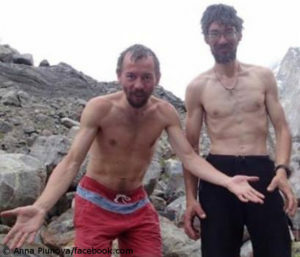 But there is no hope that the three climbers survived the avalanche on the 3,295-meter-high Howse Peak. 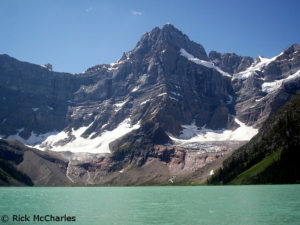 The still high avalanche danger in the Canadian Rocky Mountains has not yet allowed a recovery. Parks Canada, the national park authority of the Canadian government, has closed the area. 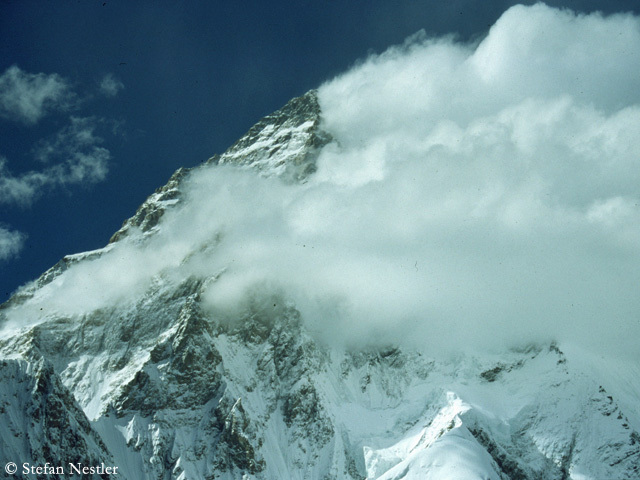 The international mountaineering and climbing scene fears for three of their best. According to media reports from Austria and Italy, the two Austrians David Lama and Hansjörg Auer as well as the American Jess Roskelley are said to have been caught by an avalanche while climbing in western Canada. Official information is not yet available. The “Tiroler Tageszeitung” from Austria reported that the huge avalanche cone had already been searched yesterday, Wednesday, by rescue planes – without success. The “Kronenzeitung”, from Austria too, reported that the 35-year-old Auer had died in the accident, citing its own information. 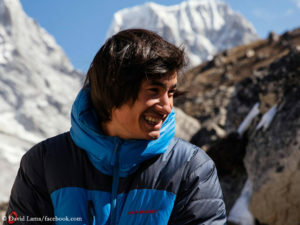 David Lama’s manager announced a statement by the family on the 28-year-old’s homepage, but without naming a time. 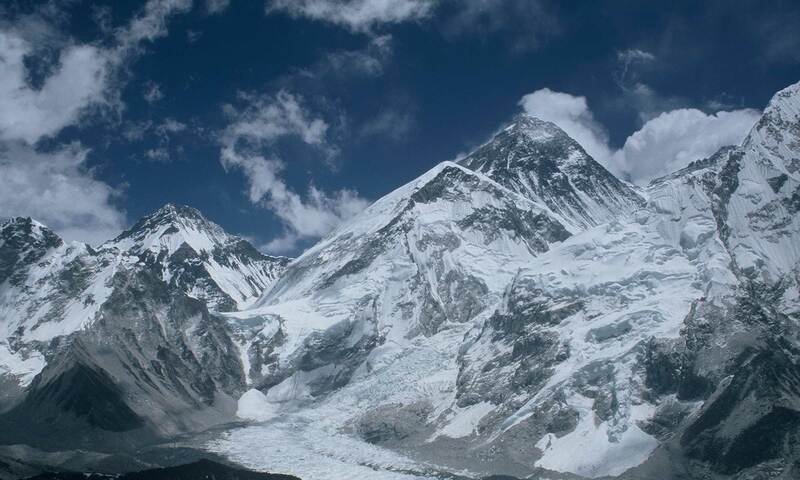 It could be another record season on Mount Everest. Until last Tuesday, the Ministry of Tourism in Kathmandu alone issued 374 climbing permits for the south side of the world’s highest mountain. On the north side, the Chinese-Tibetan authorities have limited the number of climbing permits to 300 this spring. Last year, according to the mountaineering chronicle “Himalayan Database”, 802 climbers reached the summit at 8,850 meters, only one without bottled oxygen: 32-year-old Sonam Finju Sherpa. It’s quite normal that mountaineers return from an expedition with dirty clothes. After all, it’s important to travel with as little weight as possible. And that’s why, after the trip, the strong smell in the laundry room at home from clothes worn too long is simply part of it. But is it really necessary to wash your dirty laundry in public? For days, the members of the two recently failed K2 winter expeditions have been engaged in a media exchange of blows. With the meanwhile almost usual echo on the social networks – from people who weren’t there, but think they have to put their oar in. 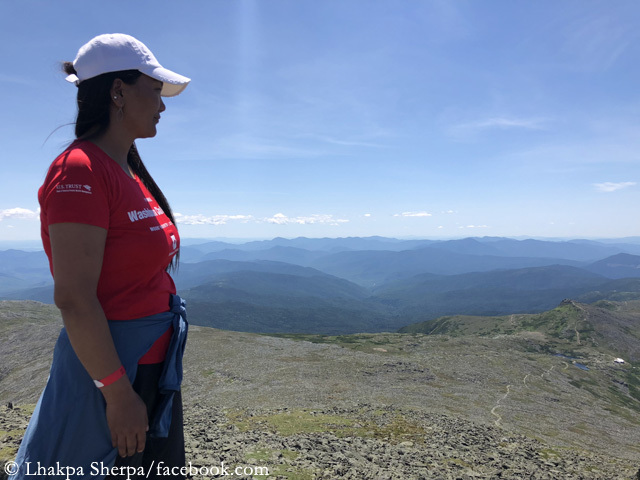 Mount Everest is fascinating, for many – like the more than 300 foreign mountaineers who will attempt to climb it this spring from Nepal alone – even a life’s dream. In the end, however, it remains only a mountain. And there are more important things in life. 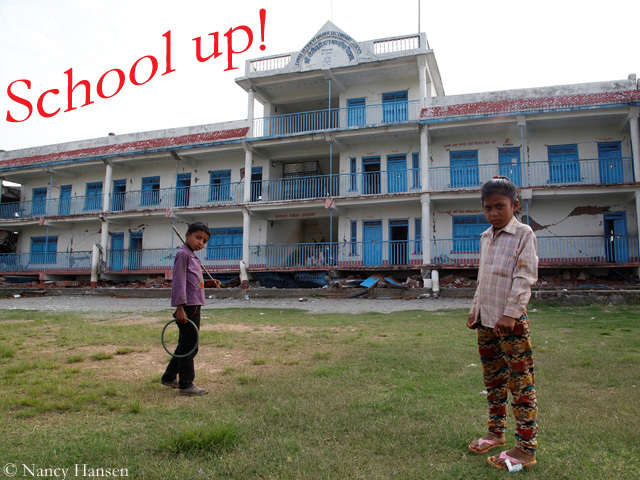 Also for Lhakpa Sherpa. 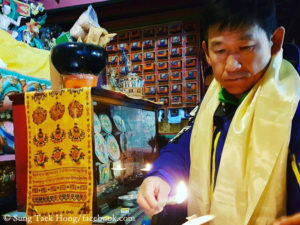 The 45-year-old native of Nepal actually wanted to travel to Tibet again these days in order to reach the highest point on earth at 8,850 meters for the tenth time and thus improve her record: Lhakpa is the woman with the most Everest ascents in the world. He’s back. The South Korean Sung Taek Hong has again pitched up his base camp at the foot of the huge Lhotse South Face. 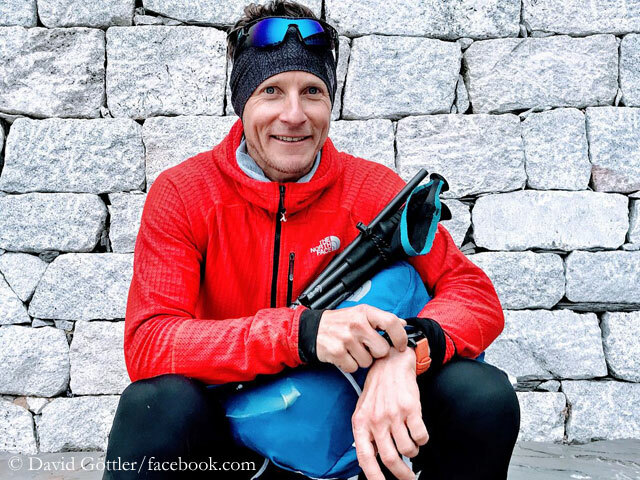 For the sixth time, the 52-year-old has traveled to Nepal to tackle the 3,300-meter-high, extremely challenging eight-thousander wall. This time Hong has gathered an international team. As in his last attempt in fall 2017, he is joined by Jorge Egocheaga, a very experienced high-altitude climber: The 50-year-old Spaniard has already stood on the summits of all 14 eight-thousanders. Only on Everest he used bottled oxygen. The route is ready for the commercial expeditions on the Nepalese south side of Mount Everest. The “Icefall Doctors” have completed their job. 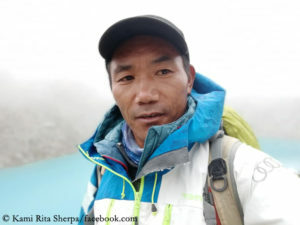 The team of eight specialized Sherpas secured the route through the dangerous Khumbu Icefall up to Camp 2 at about 6,400 meters with fixed ropes and ladders. Now the summit aspirants can come. To a certain extent en passant, namely at work, some climbers from Nepal will probably improve their records during this spring season. Kami Rita “Topke” Sherpa will be en route with an expedition of the Nepalese operator Seven Summit Treks and – if everything goes according to plan – will reach the highest point on earth at 8,850 meters for the 23rd time. I guess it’s a classic win-win situation. 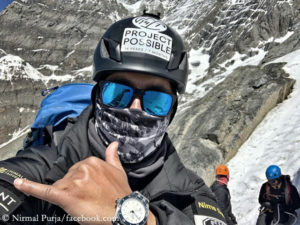 The Nepalese expedition operator “Seven Summit Treks” benefits from the fact that Pakistan’s top climber Muhammad Ali “Sadpara” strengthens their rope fixing team on the 8,485-meter-high Makalu. And the 43-year-old thus gets the chance to scale the fifth highest mountain on earth in Nepal. The climber is financially supported in this project by the Pakistan Army. 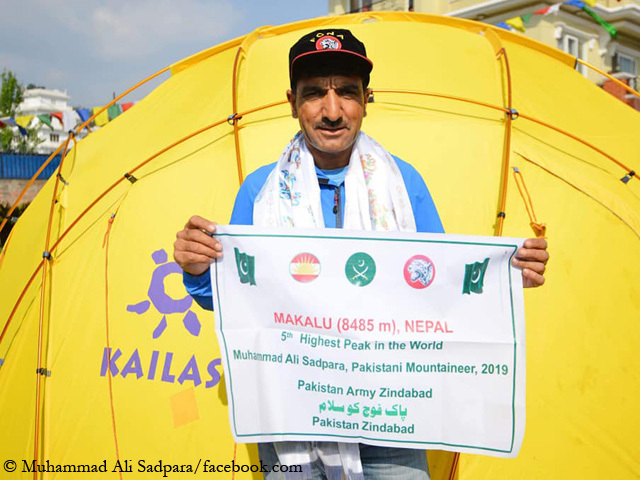 For Muhammad, who has been in Nepal since Wednesday, this is the second attempt on Makalu. In spring 2016, he had to turn around 150 meters below the summit in bad weather. At that time he had worked as a mountain guide for the Brazil-born American Cleo Weidlich. 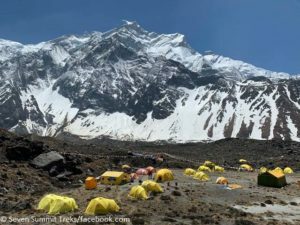 New routes on Annapurna, Dhaulagiri and Everest? Expedition luggage is piling up these days at the airport of the Nepalese capital Kathmandu. Mountaineers from all over the world arrive in the Himalayan state to tackle Everest or another of Nepal’s high mountains this spring. According to the Ministry of Tourism, the number of mountaineers is expected to be even higher than last year. In 2018, the government issued 768 climbing permits for foreign mountaineers in spring and collected 412 million rupees (the equivalent of more than three million euros) in permit fees. The majority of the summit candidates are once again the clients of the commercial expeditions, who will be bustling on the normal routes. But there are also a few climbers who want to break new ground on the eight-thousanders off the beaten tracks – like the 38-year-old German Felix Berg and the 35-year-old Pole Adam Bielecki on Annapurna.